Jordan Brand made their name with their wide array of stylish and top-class basketball shoe but they are also making an impact with their lifestyle collection shoe like the Jordan V5 Grown Low, which is set for release this August 2011. 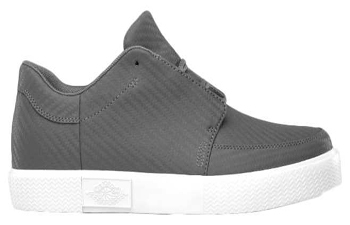 These Chukka-inspired casual shoe will be released in Cool Grey/Cool Grey – White colourway, which is simple like the other edition of this shoe, but is absolutely impressive and very durable. If you are in a hunt for a shoe that will suit you lifestyle needs, then the new Jordan V5 Grown Low is a must-buy for you this month!